Fatalities and serious personal injuries call for serious legal representation. At Russell & Hill, PLLC, that is exactly what we deliver. From our law firm in Snohomish, Washington, we are there to help victims of catastrophic accidents and negligence recover and face the impending legal process with confidence. We are strong advocates for clients who were hurt by a motor vehicle crash, motorcycle or pedestrian accident, premises liability scenario, construction site incident, slip-and-fall, professional negligence or medical malpractice. We also provide specific counsel for victims of brain and birth injuries. Although insurance companies exist to protect people and help them pay for unforeseen health care costs, many companies prioritize their bottom line over victims’ needs. Our attorneys do not let this stand. As a team of former insurance defense lawyers, we know the tactics big insurers use to undercut compensation offers and lessen liability. Our law firm uses this knowledge to produce powerful, results-oriented arguments for clients and pursue the full amount of compensation necessary to cover current and future recovery costs. Beyond representing victims of accidents and negligence, our law firm counsels people on Social Security Disability and related matters. We also provide knowledgeable and fierce defense for clients facing criminal allegations, whether they are charged with misdemeanor drug possession or a felony DUI. At our office in Snohomish, we offer a free initial consultation to prospective clients from greater Washington as well as Portland, Oregon. 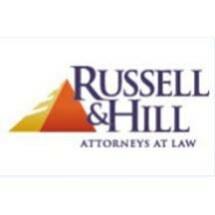 Russell & Hill, PLLC accepts credit cards as payment.